KLeeNwater, a joint venture between Environmental Energy Services and ProChem, Inc, provides total water management solutions to the power generation market. 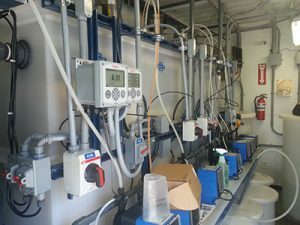 KLeeNwater designs, fabricates, installs and operates water treatment systems custom tailored to address specific plant water recovery or disposal requirements. 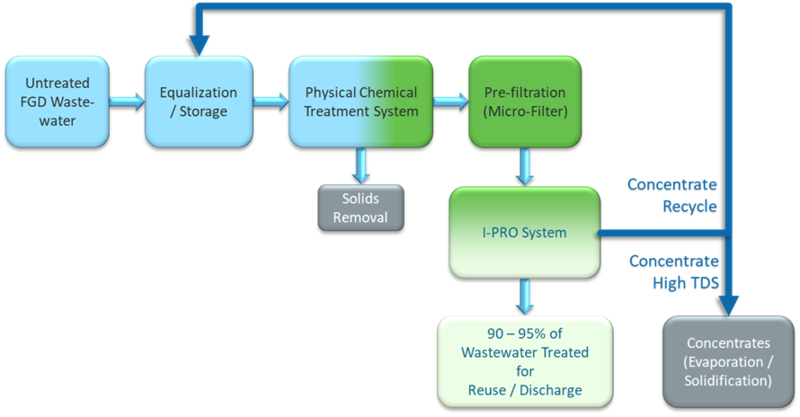 Through the selective application of both physical and chemical water treatment techniques, KLeeNwater enables power plants to treat and recycle wastewaters for re-use or minimize discharge wastewater to the point of Zero Liquid Discharge (ZLD). KLeeNwater solutions are very effective in removing contaminants including arsenic, nitrates, selenium, bromides, chlorides and total suspended solids, many of which are called out in the USEPA Coal Combustion Residual (CCR) and Effluent Limitation Guidelines (ELG). Water requirements within CCGT plants include high purity make-up water to the heat recovery steam generator (HRSG), water for injection into combustion turbines for power augmentation or NOx control, and make-up water for combustion turbine evaporative coolers, fogging systems, and cooling towers. Of these water service requirements, cooling towers present the major impact on make-up water usage and wastewater discharge. In addition to the EPA’s ELG rules, coal fired plants also have to comply with the Coal Combustion Residuals (CCR) rules which will lead to pond closures, wet to dry bottom ash conversions and a need for water reuse or Zero Liquid Discharge (ZLD). The final rule requires, among other things, ZLD for bottom ash and fly ash, and physical/chemical plus biological treatment for FGD scrubber wastewater. KLeeNwater advanced pre-treatment chemistry coupled with IPRO (shown below) allows customers to replace the need for complicated biological systems and ensures a very small component of the influent will be left to evaporate or solidify and complete Se and heavy metals removal. KLeeNwater allows for the reuse of closed loop bottom ash purge flows in the FGD. With KLeenWater, your plant can achieve 100% ZLD for the fraction of the capital investment for more traditional ZLD systems.